Our last release for the holidays was again inspired by the movie It’s a Wonderful Life. This 1946 sleeper became the standard for Christmas viewing some time ago. 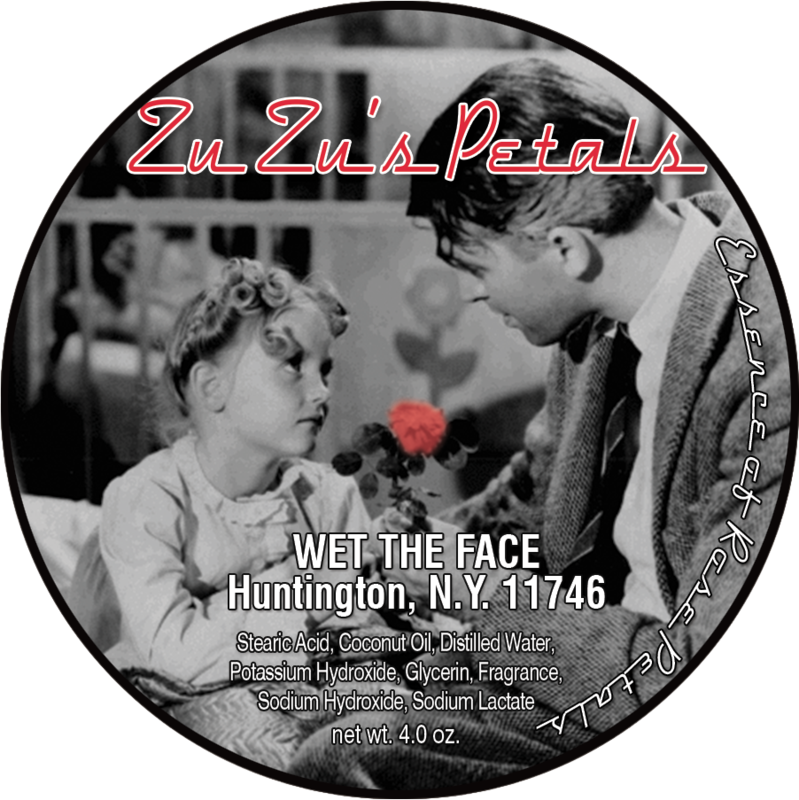 The scene which inspired this shaving soap captures the touching moment when George's youngest daughter Zu Zu's received a flower from her teacher which is falling apart she asks her dad to paste it and George pretends to place the pedals back on the flower but secretly places them in his pocket. The packaging for this last soap sports a clear plastic tub which allows you to see the rose color and instantly know what you're going to experience. Since it’s release last week I’ve been getting very positive feedback about the soaps and most people really like the clear tubs which I’m so glad I decided to finally do. 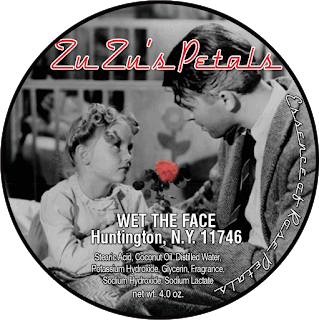 The scent for Zu Zu’s Petals is Essence Of Rose. I must have come across about 25 to 30 offerings last year alone and just couldn’t find the right one until now. I think this offering is the closest to the real thing as one could possibly get. If anyone remembers back when we started we introduced a Tobacco Rose on February 14 a few years back and the feedback was split some didn't like the rose others it was the tobacco that was too weak so I took it off the market and started from scratch to reformulate. Now, after a year we're ready to reintroduce this new rose scent that will be used in all other rose based soaps from Wet The Face going forward. I love to bowl lather and created an amazing amount in just a min or so. During the bowl lather, the scent of rose just filled the den. It was rich and creamy I had so much on my brush that most of it landed on my shirt (like always). The amount I managed to place on my face got right into the beard. The coverage was fantastic and the slickness and glide were tops allowing for my razor to go over trouble spots with no irritation. My post shave feel was fantastic and to top it off I used the aftershave of the same scent. So, these are the holiday releases and I’m happy to say we are almost out of everything. Starting early was the key for me this year. It allowed me plenty of time to get things right although I could use a new printer guy he dropped the ball on a few things. You know what they say, you can’t control everything. The next thing will be our Flea Market which opens on Black Friday so please before you buy anything take a look you’ll be glad you did I promise. Do You Make Your Own Shaving Soaps?